Appropriate VT V-Wall ‘U’ Tracks are suitably fixed to the floor and soffit. VT V-Wall 'C' Studs are suitably fixed to abutments then fixed to the ‘U’ Tracks at both head and base, at required centres. The studs are fixed so as to face the same direction. 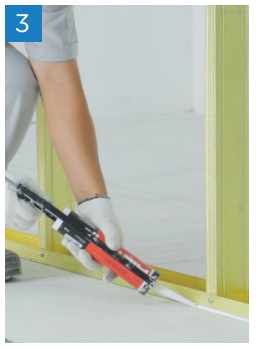 Apply Hilti sealant CP 606 to frame perimeters to provide optimum acoustical and fire performance. Door openings are constructed to suit the width of door. Extra studs should be provided at openings, and corners. Overboard the opening, and then cut out to avoid joint directly in line with door jambs. 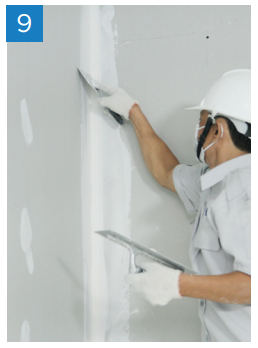 M&E services can be located within the partition cavity. 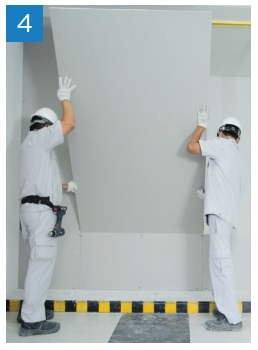 The insulation shall be added to the partition cavity for increasing acoustic performance. All are normally installed after one side is boarded. 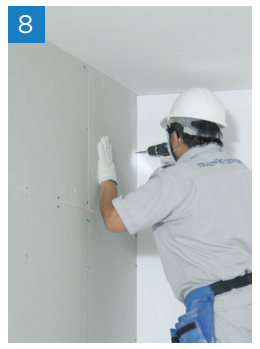 To obtain the optimum acoustic & fire performance, air tightness is essential. Board compensation and an insulation material need to be installed at back of socket boxes. 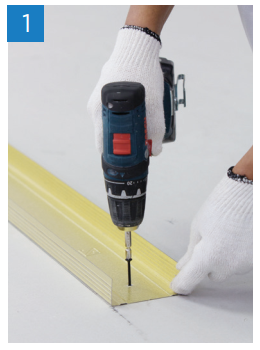 Use appropriate non-combustible material for electric conduit, sockets or appropriate treatment by M&E contractor. 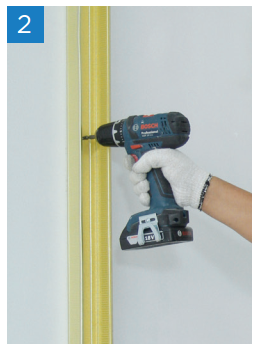 Fixed Gyproc plasterboards to a metal framework using VT Drywall Screws. For double layer board lining, the outer layer will be assembled so that subsequent horizontal and vertical joints are staggered. The security metal sheet will be cut to appropriate length and installed between two layers of boards. 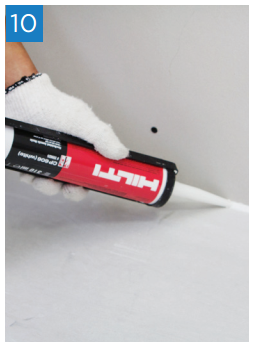 Seal any gaps up to 5mm with Hilti Sealant CP 606 or gaps up to 10mm (as maximum) with Gyp-Filler Jointing Compound. For full installation details, please refer to the Site Book.